He stands 13 3/4 inches tall. Isn’t he just adorable? He’ll make a great gift. He is just waiting to be loved and cuddled. He has safety eyes. He is so cute and ready for the holidays. He makes a great decoration for the holidays. 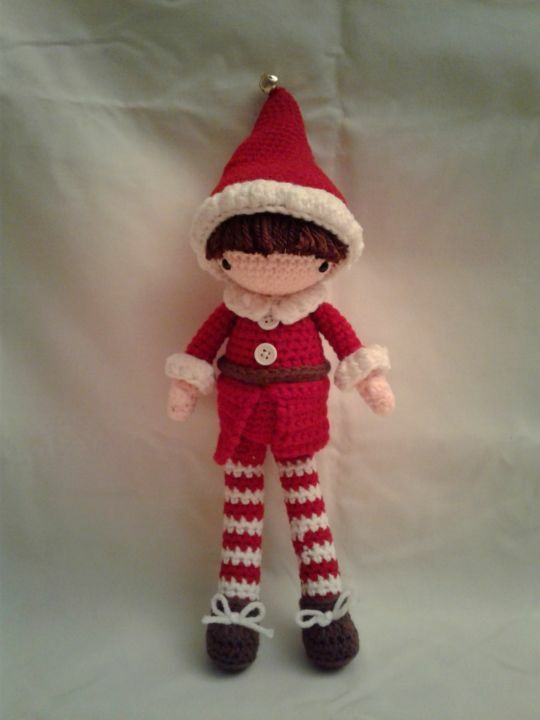 He can even be friends with your Elf on a Shelf doll. The hat is not removable.